There was a political conjecture that Karnataka BJP chief BS Yeddyurappa had big plans of getting Congress leader DK Shivakumar and his brother DK Suresh into an alliance with the saffron party. However, the two leaders have denied the alliance. BJP state president and opposition leader BS Yeddyurappa paid a visit to Congress leader and water resources minister DK Shivakumar at his Bengaluru residence on Wednesday, November 28. Yeddyurappa was accompanied by his son BY Raghavendra, Member of Parliament (MP) Shivamogga, who also recently won a Lok Sabha seat. 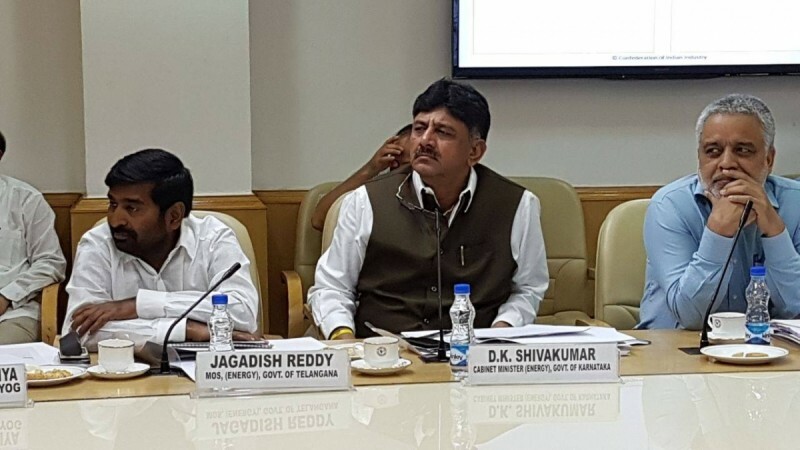 While the meeting took place for more than an hour for the intervention of DKS over the pending irrigation projects in Shivamogga, there was also a political conjecture that Yeddyurappa had big plans of getting DK Shivakumar and his brother DK Suresh into an alliance with the saffron party. The DK brothers had earlier accused BJP and Yeddyurappa for trying to get them arrested by misusing the Enforcement Directorate (ED). However, Yeddyurappa dismissed the speculations saying that the meeting was only for the essential requirements of executing the pending irrigation projects in the drought-hit district of Shivamogga and there is no political significance in the meeting. Yeddyurappa told the media that he met DKS and urged him to provide funds for the pending lift irrigation projects in Shikaripura, Soraba and Shivamogga constituencies. The construction work of Sigandur bridge, for which the foundation stone was laid by Union surface transport minister Nitin Gadkari, is also getting delayed we have talked to the forest minister R Shanker regarding the matter, he added. "We both are personal friends, politics is different", said DKS, which Yeddyurappa also supported saying that they are "101percent" good friends. On asking whether any politics was discussed, "all those cannot be revealed to the media", Yeddyurappa said.